There is a well-known adage that you should ‘write about what you know about.’ But just as importantly, you should write about where you know about. Furthermore, you should carefully choose locations for your stories that add value to and support the plot. It can be very annoying for a reader who is well-immersed in your story to discover a glaring error in the text which relates to the setting of the plot. Even though you may well have invited your readership to suspend belief (for example, by writing about zombies, or space travel, or fantasy adventures), if you get something wrong about the location where the events are supposed to take place, and the reader spots this, it can undermine the whole reader experience. Most dangerous is writing about countries you have never visited. I once reviewed a text that was set in the UK. Not only were crickets chirping at night in the mountains (in fact, it is eerily quiet) and wolves prowling (we have none in the UK), but the language used by the inhabitants was wrong, along with other details such as what the characters ate (beef jerky; hash browns for breakfast). appreciation of what it’s really like to be there. No matter how many films I’ve seen set in American cities like Los Angeles and Chicago, I know that any attempt I might make to describe a plot developing in one of those cities would be without depth. By contrast, in my mystery thriller novels, the Travis #WebOfDeceit series, all the action takes place in North Wales, an area of the UK that I know well and truly love. In the first novel of the series I have been able to tell the reader what it is like to climb a mountain, smell the freshness of the air, wander through cloud; and more mundane things, like eating in a small café in Wales. The locations add value to the plot by helping the reader to visualize and appreciate what the characters are seeing and experiencing as the story develops. It is important that the location you choose helps the plot along, rather than hinders it. Trying to ‘shoehorn’ the action of a story into an inappropriate setting is another source of distraction for the reader. For example, a plot device I use in ‘Web of Deceit’ is the non-reliability of mobile phone signals. In the Welsh mountains in 1999 this was an annoying and well-known phenomenon. Readers would not be convinced that characters were having trouble with their mobile phone connections in the middle of a city like London in 2013. Pay attention to the three ‘A’s—Accuracy, Atmosphere and Appropriateness—when setting your novel, and your readers will be able to concentrate on your story and enjoy it all the more. 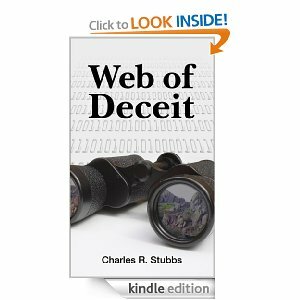 Charles R. Stubbs is a writer of mystery thriller novels. 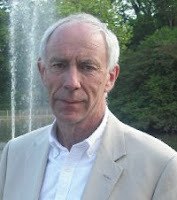 His next novel ‘Retribution,’ which involves the same set of characters as in ‘Web of Deceit,’ is due out in August 2013.